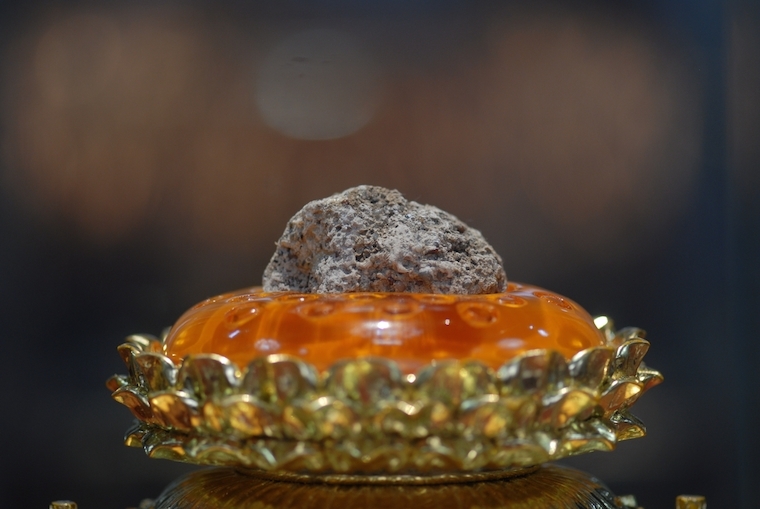 śarīras (relics) refer to left bones and pearl-shaped stuff from cremation after nirvana of Sakyamuni Buddha and other Buddhism masters. The only one Usnisa in the world reappeared to the public in Nanjing on June 12th, 2010. Usnisa is the symbol of wisdom and compassion. Worshipping of Usnisa is just like worshipping of Buddha. In 1011, the abbot of Jinling Changgan Temple, Master Kezhen, enshrined Usnisa in an iron container of the nine-story pagoda. 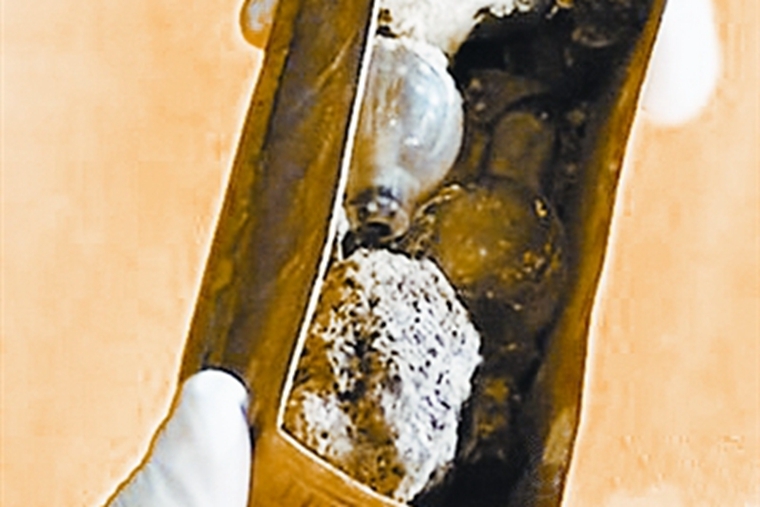 In July, 2008, archaeologists discovered an underground palace in Nanjing Giant Bao’en Temple ruins and took out the iron container. In November of the same year, King Asoka Pagoda,together with other cultural relics, was taken out from the iron container. In May, 2009, King Asoka Pagoda was opened, in which silver and golden coffins were placed in the two floors respectively. At 9:15 AM. 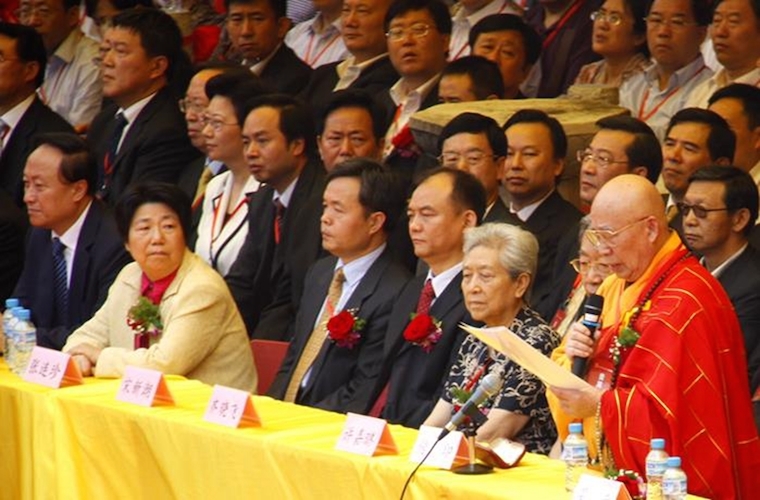 of June 12th , 2010, Usnisa reappeared to the whole world in Nanjing Qixia Temple. 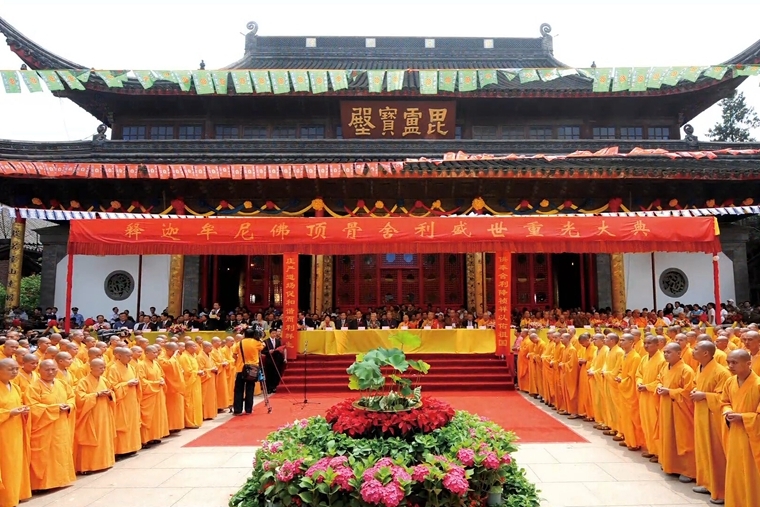 In 2010, with agreement from religious circle, cultural circle and cultural relics circle, Nanjing Niushou Mountain Cultural Tourism Zone was constructed for long-term enshrinement of Usnisa. In September, 2011, design plan “Building underground Buddhist palace under the two peaks and displaying Buddhist culture in Niushou Mountain” was completed, and Usnisa enshrining location and method was confirmed. 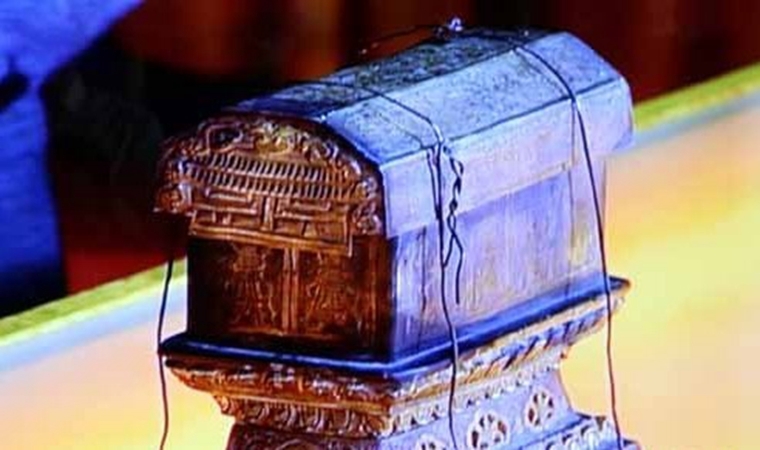 1,000 years have passed since Master Kezheng buried the valuable Buddha’s Relics in 1011. 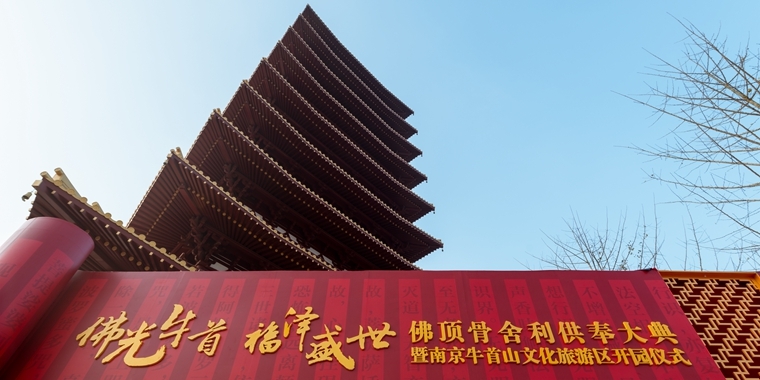 At 11 A. M. of October, 27th , 2015, Enshrining Ceremony for Usnisa and Opening Ceremony of Nanjing Niushou Mountain Cultural Tourism Zone were held at Usnisa Square. The long-term enshrining of Usnisa in Niushou Mountain is a precious opportunity and makes the mountain more prestigious.